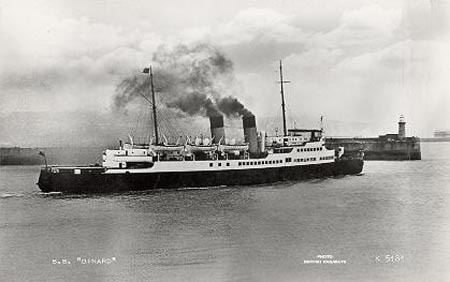 This page is devoted to postcards and photographs of the Southern Railways steam turbine cross-channel ferry Dinard, built in 1924 by Denny (Dumbarton, River Clyde). 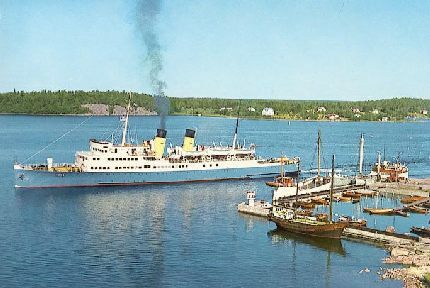 As built, she was 2294 gross tons and carried 1300 passengers (354 in berths). 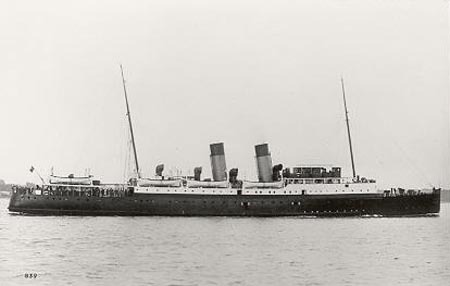 Dinard served on the night route between Southampton and St Malo, for which a speed of 19 knots was adequate. 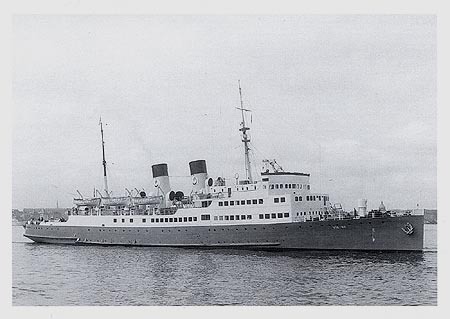 She served with distinction in World War 2, being both at Dunkirk and Normandy, but required major refurbishment after being returning to civilian service. 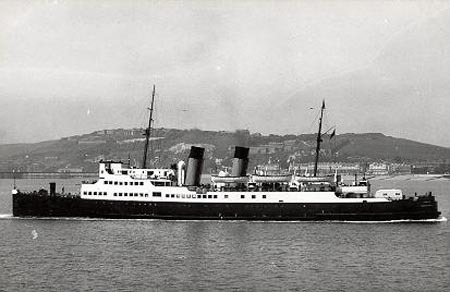 The demand for the transportation of cars to France was increasing, so Dinard was rebuilt as a car-ferry, returning to service in June 1947 between Dover (and Folkestone) and Boulogne, with tonnage reduced to 1769grt, and a capacity of 363 passengers and 70 cars. She passed to the nationalised British Railways in 1948. At this stage cars were still crane-loaded aboard, but in 1953 she received modifications to the stern, allowing cars to be loaded over a ramp, inaugurating the drive-on service between Dover and Boulogne on which Dinard remained until withdrawn in 1958. 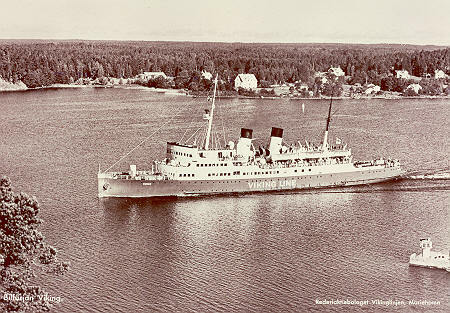 Instead of being scrapped, Dinard was sold to become the first ship of mighty Baltic ferry giants Viking Line, whose operations began on 1st June 1959 between Gräddö and Korppoo, for Åland owners Gunnar Eklund and Henning Rundberg. They renamed her Viking, after further modifications to car capacity and appearance had been made. 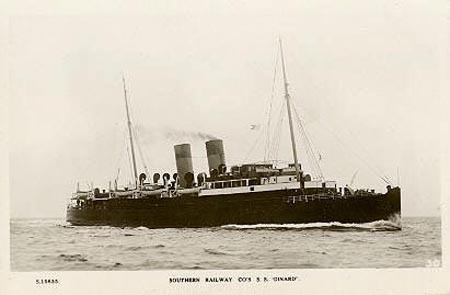 Kingsway (W.H.Smith) real photographic postcard S.15635 of Dinard as delivered for the Southampton to St Malo overnight route in 1924. The minimal white upperworks was the style of the London & South Western Railway, who had become part of the Southern Railway at the Railway Grouping of 1923. Real Photographs postcard 839 of Dinard with increased white superstructure. 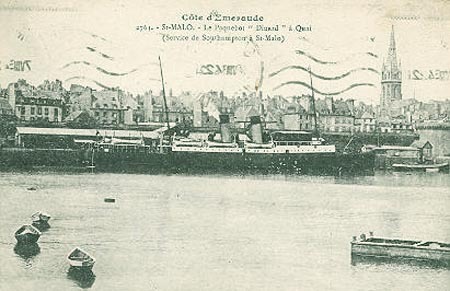 Laurent-Nel postcard 2764 (Rennes) of Dinard at St Malo. 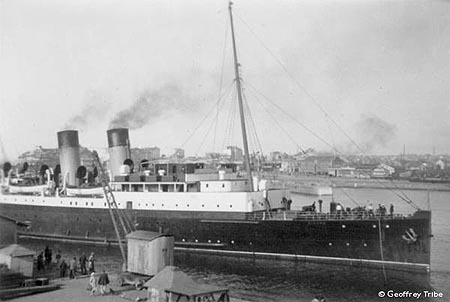 The card was posted from St Malo in August 1934. 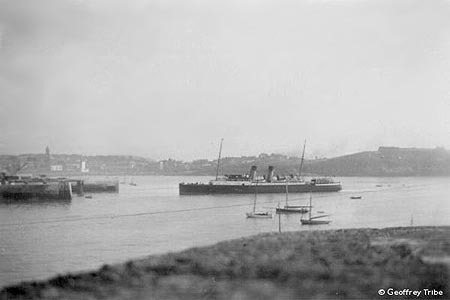 Photograph of Dinard at St Malo. 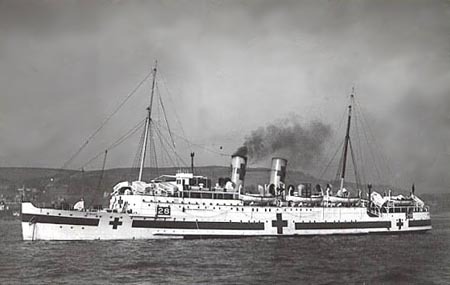 Photograph of Dinard as a hospital ship in WW2. Valentines postcard K5181 of Dinard at Dover as a car ferry after the war. 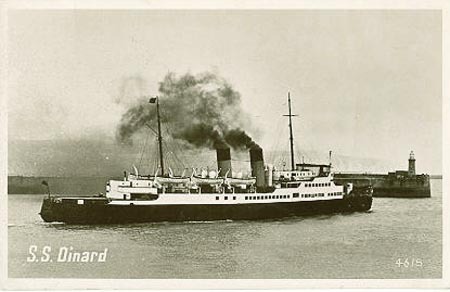 Photo Precision postcard 4-615 of Dinard at Dover as a car ferry after the war, using the same photograph as the card above. 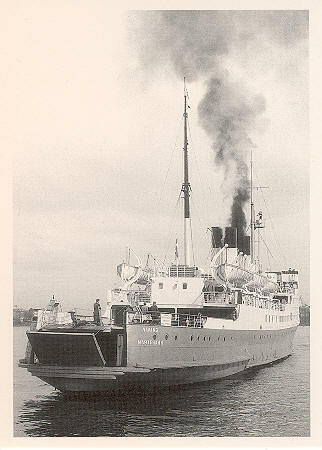 D.Constance photographic postcard of Dinard at Dover as a car ferry after the war. 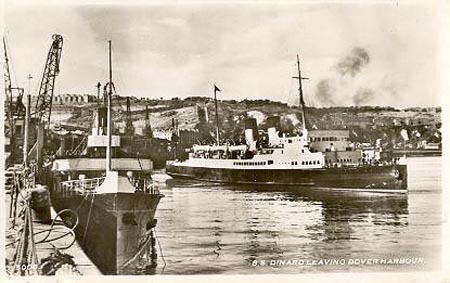 A.Duncan photographic postcard of Dinard at Dover as a car ferry after the war. 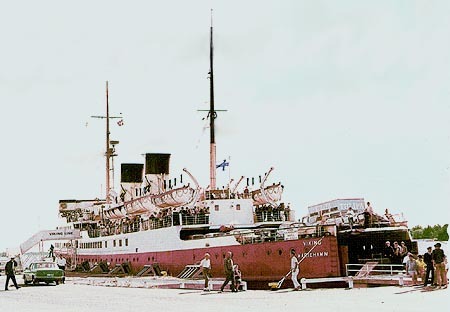 Dinard was sold to become the first ship of Viking Line, whose operations began on 1st June 1959 between Gräddö and Korppoo, for Åland owners Gunnar Eklund and Henning Rundberg. They renamed her Viking, after further modifications to car capacity and appearance had been made. 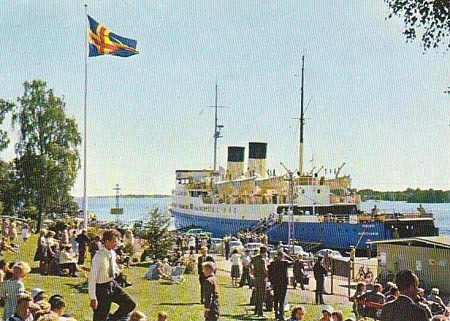 Postcard of Viking at Mariehamn. 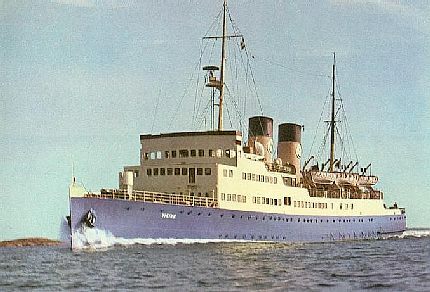 Modern Farje Minnen postcard serial number 2630 of Viking. Photo by Bernt Fogelberg at Stockholm, April 1965.